Case is in New condition. FitsSamsung Galaxy Note 8.0. Check-Out Later?. Software that has been opened will NOT be accepted. Check-Out Now! Samsung Galaxy Note 8.0 Case Cover. Samsung micro USB to USB adapter; works with devices such as the Samsung Galaxy Note 8.0 or Tab 3. White is color; used, but in good condition overall. Item description in pictures please fell feet to ask. You may not get the one in the picture as I have more then 1. Some of the cardboard is damaged on each package but only bent. Please feel free to ask any questions. Thank you and happy shopping! Brand new Samsung Galaxy Note 10.1 cover. It does NOT fit the 2014 edition. 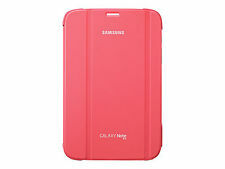 The 10.1" Pink Hard Folio Stand & Cover fits the Samsung Galaxy Note 10.1". What you see is EXACTLY what you get, nothing more or less. We will describe the item in the greatest detail we can. YOU ARE BUYING A SAMSUNG GALAXY NOTE 8.0 BOOK COVER. UNDERSTANDS THE FOLLOWING. And a new quick and easy-to-open stand lets you place your Note 8.0 in a more comfortable position for easy viewing. The Book Cover also turns on and off your screen. We also verify that the serial number and UPC match the original invoice, and any item that does not match will not be accepted. Stand up view, soft interior lining. Easy to remove. Samsung Notebook cover converts to a stand in for landscape viewing at multiple angles. 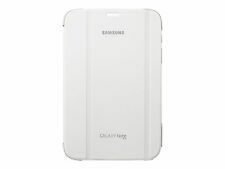 * The Samsung Galaxy Note 10.1 inch Flip cover case is sleek, smart and ideal for the high-flying business user. * The stylish design means the case can be closed by folding the front cover over the screen, preventing damage to the handset and screen. * You wont have to be worried about everyday bumps and scratches. The Samsung Flip Case shields your Galaxy Note 10.1 inch from those daily scrapes. * Your Samsung Galaxy Note 10.1 tablet can be totally enclosed and ultimately protected, or opened to reveal your handset's sleek appearance and phone functions with full access to all ports and plugs. Product SKU: SAM-12.2 PRO SLEEVE. We areNOT responsible for any custom duties or brokerage fees that may apply for all international orders. Put the completed RMA FORM inside the box with your item. Leather Like Folio. Folio styled case. 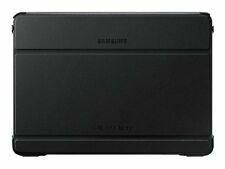 Fits Samsung Galaxy Note 10.1. Item donated to us sealed and in condition as shown in pictures. Compatibility: Samsung - Galaxy Note 2014 Edition (SM-P6000ZWYXAR, SM-P6000ZWVXAR). Compatibility Samsung - Galaxy Note 2014 Edition (SM-P6000ZWYXAR, SM-P6000ZWVXAR. Product Type Carrying Case. Style Book Fold. ). Samsung Carrying Case (Book Fold) for 8" Tablet - White - Open Box. Samsung Carrying Case (Book Fold) for 8" Tablet - White. Application/Usage Tablet. Product Type Carrying Case. Product Condition: Open Box item which includes accessories. samsung galaxy Note Book Cover. Condition is New. Shipped with USPS First Class Package. Best Quality. Authentic Products 100%. Tablets Accessories. Browse our. Cell Phones Batteries. Cases & Covers. Samsung Galaxy Note 10.1" Book Cover - BROWN. Speakers & Audio. Fits a 10.1" screen. Warranty information can be found at the bottom of every product’s page. Two positions: For viewing and typing. Samsung Galaxy note 2 tab new offer free shipping. Samsung Galaxy note 2 tab. At&t factory reburbished comes with case keyboard and charger. This is a like new galaxy note 10.1 2014 edition. Comes with tablet and charger. The Zenus Galaxy Note 10.1 Masstige Lettering Folder Case is crafted from beautiful synthetic leather embossed with finely detailed English calligraphy to give a premium finish. Open Box Samsung Carrying Case (Book Fold) for 8" Tablet - White. Samsung Carrying Case (Book Fold) for 8" Tablet - White. Application/Usage Tablet. Samsung - Galaxy Note 8.0. Product Type Carrying Case. The Book Covers sleek, stylish design blends in seamlessly with the premium design of the Galaxy Tab S2. Crafted for exclusive use with the Galaxy Tab S2, the Galaxy Tab S2 Book Cover provides protection against shock and scratches by safeguarding the front, edges and back of your device. This is for a Verizon Samsung Galaxy tab e 9.6 in rugged cover for tablet it is brand new in the package was bought in error so passing the savings on to whoever needs it, it also comes with a protective screen cover. It is a real nice combination case I wish I could have used it. The case also acts as an easel stand with non-slip feet on the edges. 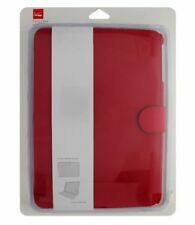 The cover is custom molded into the shape of a Samsung Galaxy Note 10.1 for ultimate protection and to maintain the device's slim style. 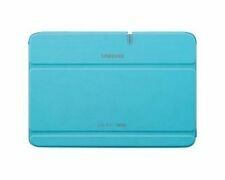 Samsung Galaxy Note 8.0 Magnetic Book Cover Case W/Samsung Seal - Green. The Samsung Magnetic Book Cover case also turns on and off your screen. A new quick and easy-to-open stand lets you place yourSamsung Galaxy Note 8.0 in a more comfortable position for easy viewing.